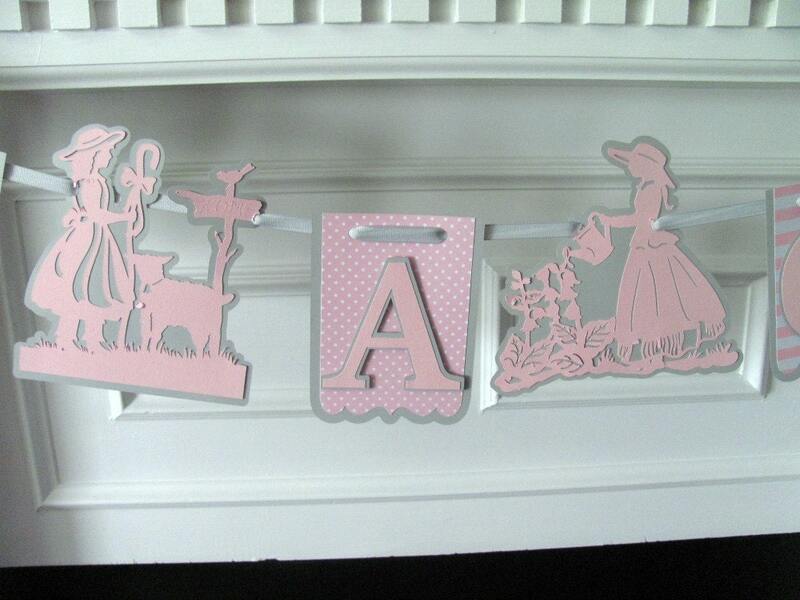 Nursery Rhyme Little Bo Peep and Mary, Quite Contrary It's A Girl shower banner. 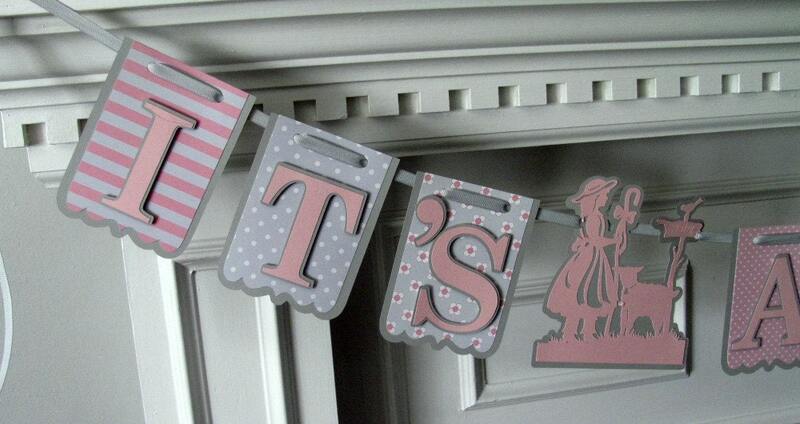 This cute soft pink and gray banner will make a great accent piece for your baby shower or a great addition to the nursery. 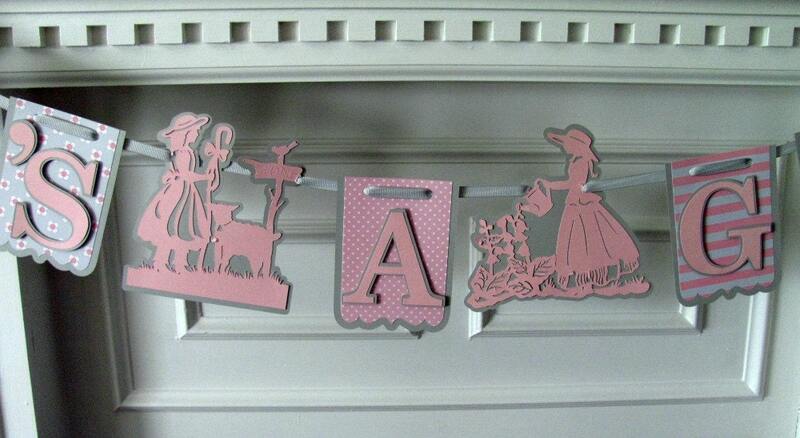 Banner features Little Bo Peep and Mary with her garden as word separators. 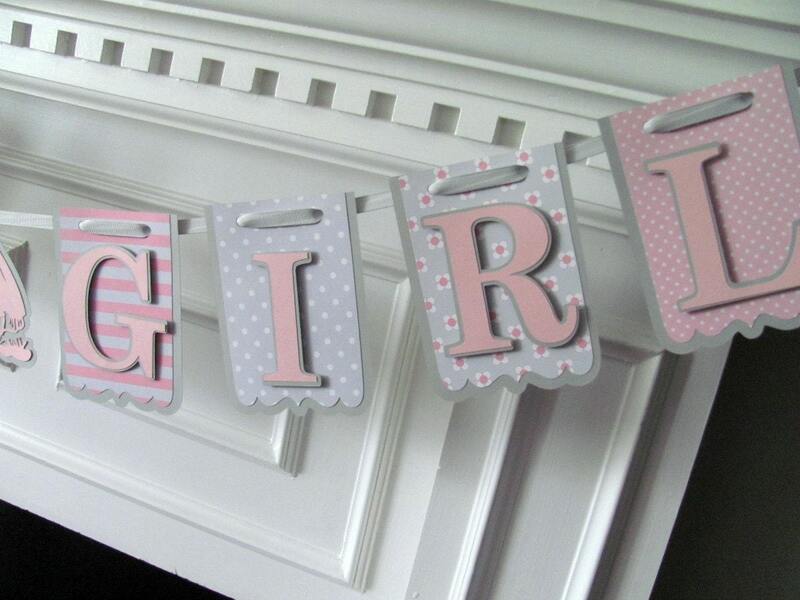 Please allow 10-12 days for order processing. All orders shipped within the US are via Priority Mail and come with tracking Information. International orders are shipped via US First Class International mail. Please allow a minimum of 2-3 weeks for delivery.